Not many judges get a happy birthday serenade and gifts from defendants in their courtroom. 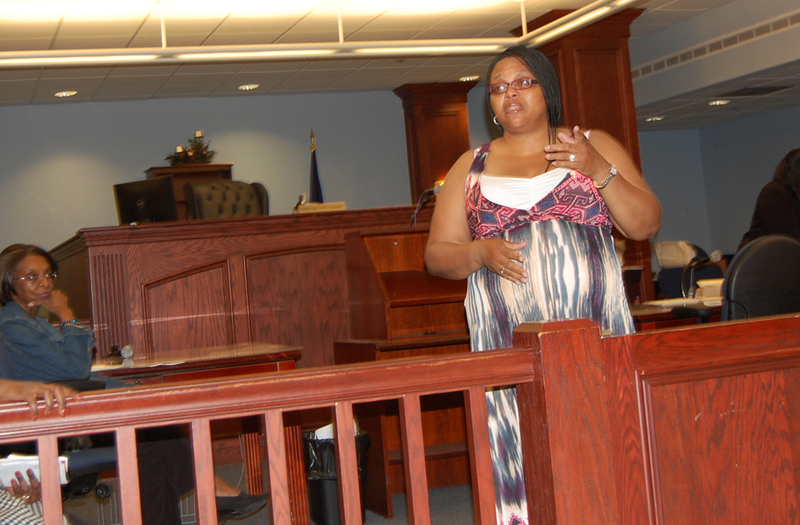 Last week, Gary City Court Judge Pro Tem Inga Lewis-Shannon had her turn. Project Rebuild handles violations of Indiana’s compulsory education law. It is unlawful in this state for a parent to fail to make sure their children, between ages 7 and 18, attend school. Truancy is not the student’s problem, it’s a family problem – is the belief of Project Rebuild. 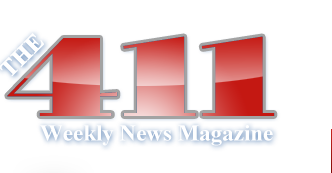 Since its beginning 6 years ago, the focus on rebuilding families has been undertaken by the Gary City Court, Gary Police Department, Lake County’s Juvenile Court and Prosecutor’s Office, and social service agencies. Parents Lillie Coulter (left), Virgil Coulter (right) with their children Tiffany and Boyzie. Overcoming emotions and wiping tears, Anita Faye Dixon told Judge Lewis-Shannon, “This program really helped me to strive to be a better person. I haven’t missed any days. I got to know my son. I got to know all my classmates and I couldn’t have made it without you.” Dixon said she wouldn’t make any changes. Another parent asked the judge to help families who need transportation to court. Parents receive an invitation from Project Rebuild to come in and talk about their child’s absences from school and if they don’t respond, they are informed a warrant will be issued for their arrest. Schools in Indiana must notify the juvenile court or department of child services when a student has 10 or more unexcused absences within the school year. Project Rebuild focuses on students in middle school, that’s when truancy begins showing up. It’s a critical time in a child’s education and truancy increases the chances that a student will be a high school dropout. It’s all about trust, said Linda Clark of the Lake County Juvenile Court. 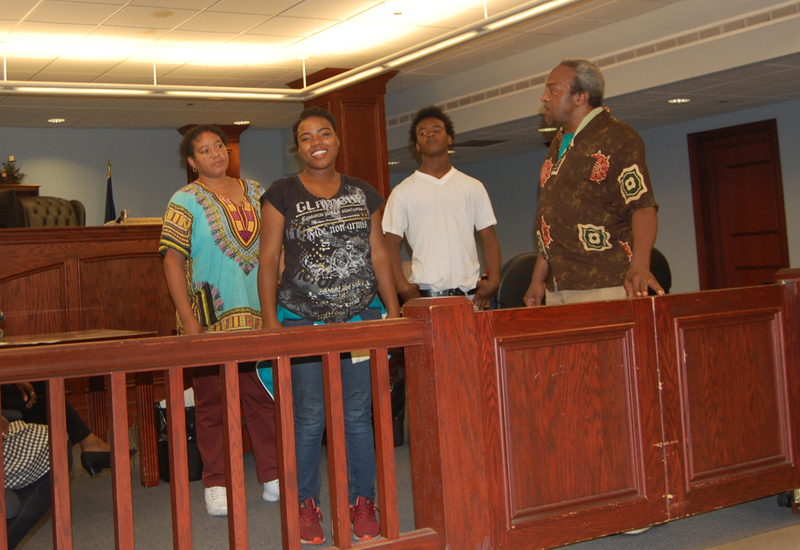 “Families are confused, defiant, and suspicious at the start but then testify about improved school attendance, grades, and attitudes.” The truancy reduction program is 12 weeks of parenting education, family counseling, tutoring, incentives and sanctions designed to change the behaviors that brought the families to the attention of the Gary City Court. A partnership with Sandra Cotton and the Genesis Family Center offers students homework help, tutoring and life skills training. Parenting education workshops are provided by the Indiana Parenting Institute. Its founder Laura Wynn says parents are learning things they hadn’t been taught before about what it means to be a parent. New parents in the program don’t want to be here, Wynn said, because they think truancy is the child’s fault. Ceean Cohill’s Harambee Corp: Student and Community Partnership performs case management for the state’s child services department and teach life skills to students ages 13 and over. Harambee does the school visits, checking on students’ grades and attendance. Parents and students are brought together for family counseling with Lisa Johnson, program director for Capitol City Family Education Services. Counseling includes mental and behavioral health services for the entire family. 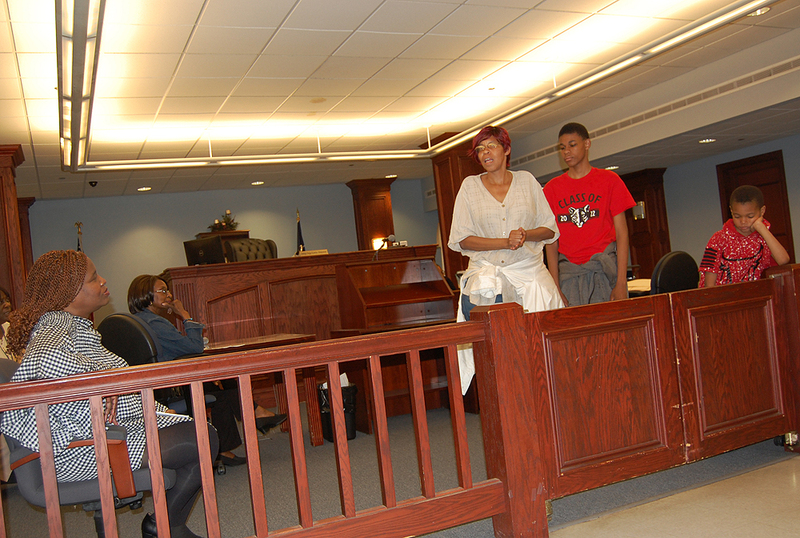 Judge Inga Lewis-Shannon, sitting, hears from Michele Bailey and sons Robert Austin and Jeremiah Dixon.